Frank Nero, president and CEO of Miami’s Beacon Council from 1996 to 2013, has a new challenge on his hands: he and his Economic Solutions Group consulting firm have been charged with plotting an economic development strategy for Puerto Rico. “I have an affinity for, and a lot of knowledge about, Puerto Rico,” Mr. Nero said this week. He was appointed during the Carter administration as the regional representative of the US Department of Labor for region 10 (New York, New Jersey, Puerto Rico and the U.S. Virgin Islands). Later, President Carter appointed him chairman of the Federal Regional Council, charged with coordinating 18 federal domestic agencies in the same region, reporting directly to the White House chief of staff. On Aug. 30, he and a group of volunteers were invited to the island to discuss putting a strategy together. Puerto Rico was mired in a 10-year recession and suffering from other problems: among them, it had defaulted on bonds, had an inadequate infrastructure and high unemployment and was facing a brain drain as college graduates fled the island for jobs elsewhere. The first trip was pro bono, Mr. Nero said, but there was a meeting of the minds. “Then along came Maria, and all bets were off,” he said. He doubted he would hear from the business owners in Puerto Rico again, but they contacted him shortly after the storm. “They said, ‘We need you now more than ever,’ and said they needed a game plan right away,” Mr. Nero said. Most people think that tourism is the dominant economic driver, but a significant portion of the island’s gross domestic product is derived from manufacturing, he said. At one time, Puerto Rico’s economy was “the jewel of the Caribbean,” Mr. Nero said. 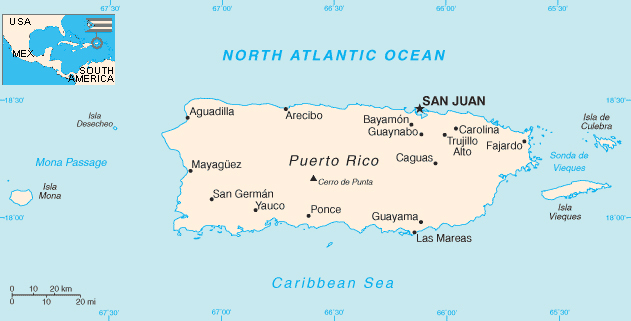 But several factors – the 2004 closing of the Roosevelt Roads Naval Station (at a cost of 6,000 jobs and an estimated $300 million blow), the repeal of the favorable 936 tax incentive program and the enforcement of the obscure Jones Act, which requires all goods shipped between American ports travel on US-flag vessels – contributed to its downfall. The economic plan Mr. Nero’s team is developing blends successful techniques from Enterprise Florida and the Ohio Economic Development Association to develop sustainable jobs and lure investment dollars to the island. It will take at least a year to implement, he said, and is supported by a coalition of private businesses and academic institutions, with a liaison to government.